German infantry unit under the cover of Sd.Kfz. 251 Ausf. 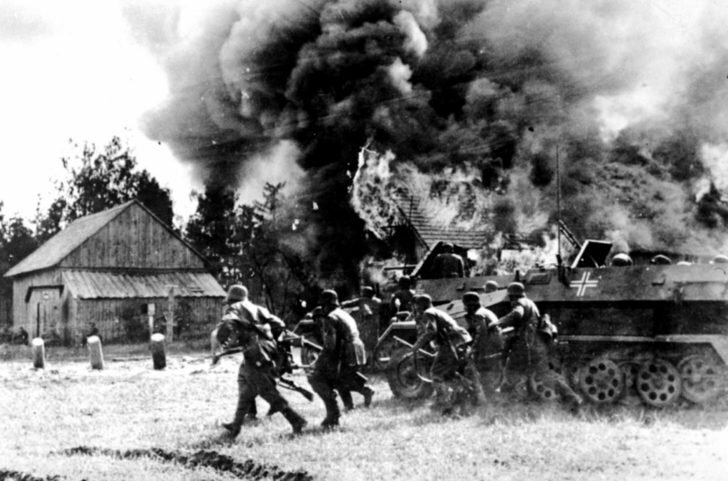 In semi-tracked armored personnel carriers seize the burning Belarusian village. In the background – Sd.Kfz. 251/10 Ausf. B – an armored vehicle of platoon commanders of motorized infantry units.